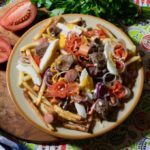 With lomo saltado, this is the first time we are featuring a cuisine that is recognized as an integral part of a country’s culture… yet its roots are not traced to that country! Yes, lomo saltado, along with ceviche, is now probably one of the most emblematic of Peruvian recipes. However, its origins are definitely more Chinese than Inca! 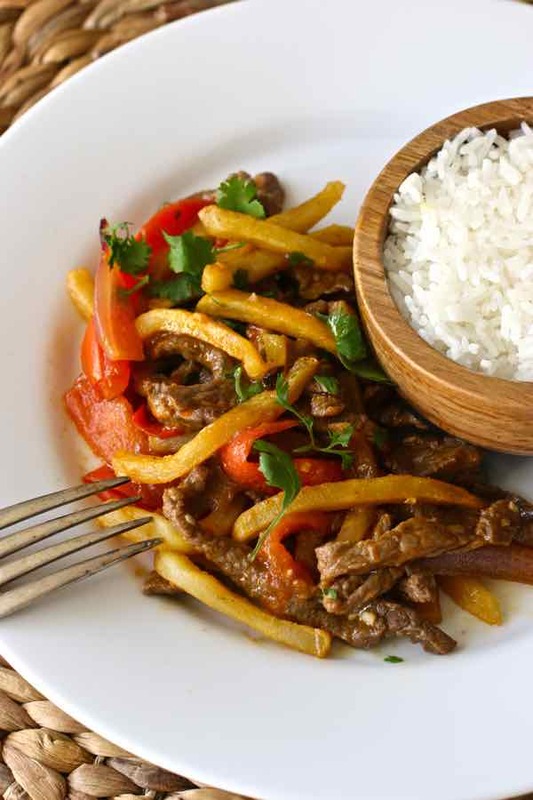 Lomo saltado, literally “jumping loin”, is a stir fry dish composed of marinated strips of sirloin (or tenderloin), red onions, tomatoes, French fries that is traditionally served with white rice. 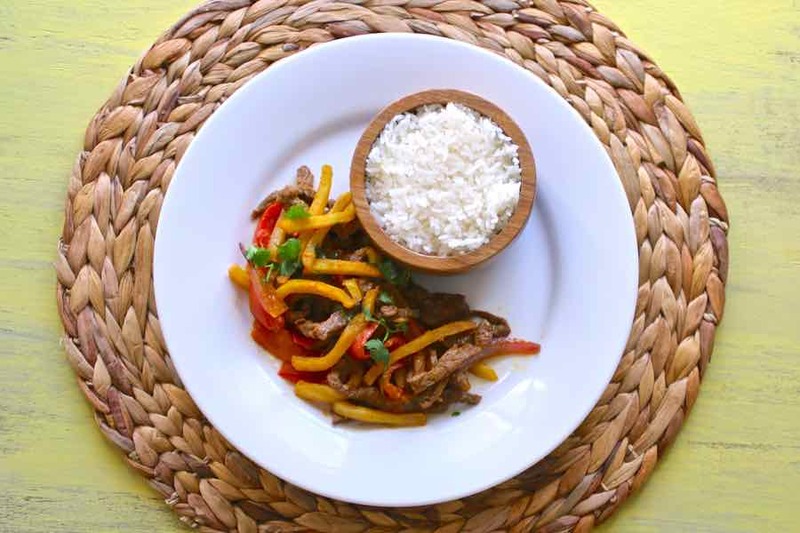 This lomo saltado recipe, somewhat unusual for a Latin American country is part of a cuisine created by Chinese immigrants that is called chifa. 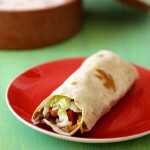 Chifa also refers to the restaurants that serve this fusion cuisine. This word comes the Cantonese words for “to eat”, chi fan, or more precisely “to eat rice”. But how did chifa become so engrained in Peru’s gastronomic culture? A census of Lima dated 1613 shows the presence of Chinese as well as other Asians in Peru. They were mainly servants and slaves. In the nineteenth century, the Pacific became a superhighway of trade and migrations. Among other industries, the coastal commercial agriculture in Peru was growing. A bigger workforce was needed and that is the main reason why many Chinese came across the ocean to Peru. Around 100,000 Chinese coolies came to Peru as indentured servants between 1849 and 1874, to replace African slave laborers, while Peru was in the process of abolishing slavery. Over time, Peruvian Chinese coolies intermarried with other Peruvians, converted to Catholicism, and immersed in the Peruvian culture. A number of people now call this melting pot of different cultures, including Hispanic, African, Caribbean and Asian, on the Peruvian coast, the creole culture, or la cultura criolla. A 1903 Peruvian cookbook titled “Nuevo Manual de Cocina a la Criolla” (New Manual of Creole Cuisine) actually included a short description of the lomo saltado recipe. 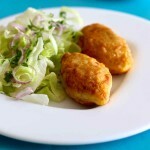 The first chifa restaurants have appeared in Lima in the early twentieth century. Chifa is mostly restaurant food. This cuisine that few Peruvians make at home has been regularly influenced by cooks from China, especially from the area of Guangdong (Canton) from where most Chinese immigrants came from. Chifa cuisine has since also been adopted by neighboring countries including Ecuador and Bolivia. I am certain there are other cuisines, which similarly to chifa, trace their roots to the ones of immigrants. 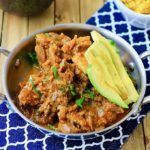 However, I would argue that in most cases, these cuisines are regional and the representation of the influence of neighboring countries like Tex Mex cuisine, or colonization like the British influence on Indian cuisine or the ubiquitous Indian cuisine in Great Britain. 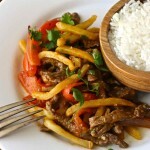 Although lomo saltado has now been elevated to a national dish in Peru, chifa cuisine has also introduced several recipes that are now mainstays of Peruvian cuisine, including arroz chaufa (fried rice), tipakay (sweet and sour chicken), chicken chijaukay (chicken in brown sauce) or kam lu wantán (deep fried wonton with a sweet and sour sauce). How to make lomo saltado? 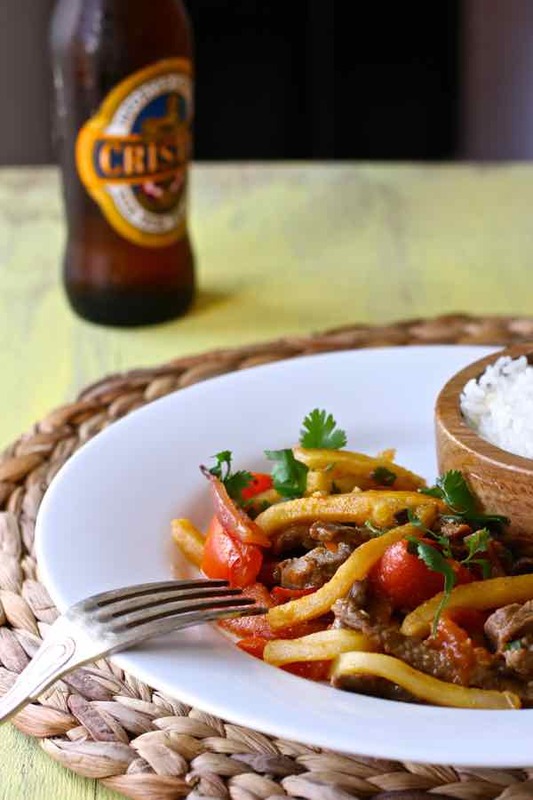 The technique and ingredients used in the lomo saltado recipe perfectly illustrate what chifa is all about. A stir-fry (Chinese technique) of potatoes (which originated in Peru) served with rice (which originated in Asia) is typical of the cultural blending that the dish represents. While beef is the most common meat used in lomo saltado, you can also use chicken to make a pollo saltado. Or, instead of potatoes, you can use noodles, to make another version called tallarin saltado. 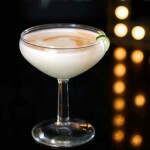 It is clear that chifa is now an established type of cuisine within the traditional Peruvian cuisine. However, this duality in the gastronomy of the country is nothing new. According to Professor Rodolfo Tafur, a trained chef, gastronomic historian and chair of gastronomy at two universities in Peru, duality has always been a constant in the Incan empire. Male and female were complementary. So to this day, all Peruvian dishes contain something that grows above ground (male) and something that grows underground (female). So, for a traditional lomo saltado, it would be potatoes and aji. This chifa dish may even have roots in more traditional Peruvian cuisine, including recipes like lomo de vaca or lomo a la chorrillana. I prepared this dish on a weekday. It is actually quite simple to make and also very quick, as the stir-fry is ready in the 20 minutes it takes for the frozen French fries to be fully cooked in the oven and the rice to be done in the rice cooker. Authentic lomo saltado also calls for aji amarillo, this ubiquitous spicy condiment that I had already used for my papas a la huancaina. Aji amarillo is as ubiquitous as ketchup on American tables or Salsa Lizano on Costa Rican tables! Again, you can use fresh aji amarillo peppers, boil them and make a paste out of the peeled skin… or like me and probably a number of lazy Peruvian cooks, you can just buy aji amarillo paste at your local Hispanic market! I absolutely loved this dish. I don’t know if it is the kick provided by the peppers, the unusual combination of French fries and stir-fry or the crunchiness of the onions and tomatoes, but this actually worked for me! I added just a little bit of rice, as I thought I had enough starch with the French fries. Some people serve the rice and French fries separately, but I actually loved mixing my French fries with the lomo saltado before serving to let the potatoes soak in the delicious sauce. You want to know how to make lomo saltado? Just follow the step-by-step foolproof authentic Peruvian recipe to prepare this mouthwatering quick and easy Peruvian staple! Lomo saltado is a Peruvian stir fry dish composed of marinated strips of sirloin, red onion and tomatoes that is served with French fries and rice. Marinate the sirloin steak strips in the soy sauce, red wine vinegar, salt and pepper for about 15 minutes. In a wok or a pan over very high heat, add the oil and sauté the meat for about 10 minutes. Set the marinade aside. Add the garlic, onion, tomato, aji amarillo paste, and stir for a couple of minutes. Add the soy sauce and vinegar from the marinade and mix everything. Season with more salt and pepper. Take off the heat, add chopped cilantro and serve immediately with French fries and white rice. Oops, sorry about that Lisette. I guess we forgot to mention it. It is for about 4 people. Probably one of my favorite main dishes on 196 flavors. Enjoy! It says to saute only the meat for ten minutes? It will overcook? Hey Seneda, it depends on the thickness of the meat. I would say between 5-10 minutes as beef needs some time to cook. Enjoy! I was walking down a street in San Francisco 20 years ago and walked by the door of a restaurant and the smells coming from the interior were divine, so seeing it was a Peruvian restaurant and not knowing anything about Peruvian food, I had to pursue that smell…., Turns out it was Lomo Saltado, and the restaurant was called La Fresca. They had just opened. They have since opened two more locations, so I wasn’t the only one to fall in love with Lomo Saltado. Since I don’t get to San Francisco as often as I would like to eat Lomo Saltado, I taught myself how to make it by trial and error, and a few tips from my waiter at La Fresca. They don’t use peppers and they use balsamic vinegar instead of the red wine vinegar, but other than that this recipe is pretty spot on. It’s one of my favorite things I make for myself, and my family often requests this for their birthday dinners. Family tradition is I cook whatever they request…., this is a go to recipe for that occasion! 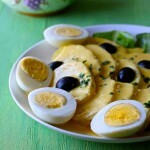 I was born in Peru and have been making this dish for many a year – it’s my wife’s favorite. The main difference in the way I prepare it is that I add the french fries to the lomo mixture at the last minute and toss it and serve. It adds some flavor to the fries. I also add ground oreganos while frying the onions and lomo. I do that too. I like the fries baked a little crispy and then added as the last step of tossing the ingredients. Nice to hear how you do it, since yours sure sounds like an authentic background…. thanks for that! Lomo saltado is sauteed beef, not jumping loin. Interesting combination of rice and fries! This is an excellent recipe. I came to Peru for the first time in 1999 and immediately fell in love with the people and cuisine. So much so I have lived here for 3 years now. Thanks so much for your compliment, Jim. Yes, there is definitely a very large number of potato varieties, especially in Peru!